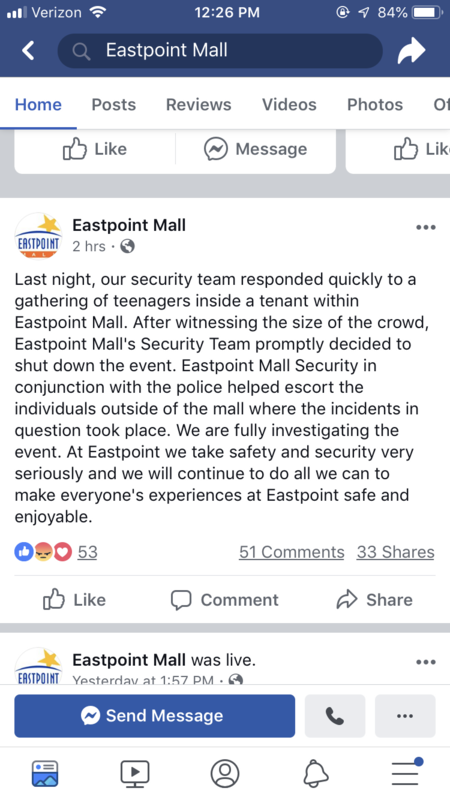 To that end, the recent violence at the Eastpoint Mall was most definitely a riot given the size and scope of the mayhem. 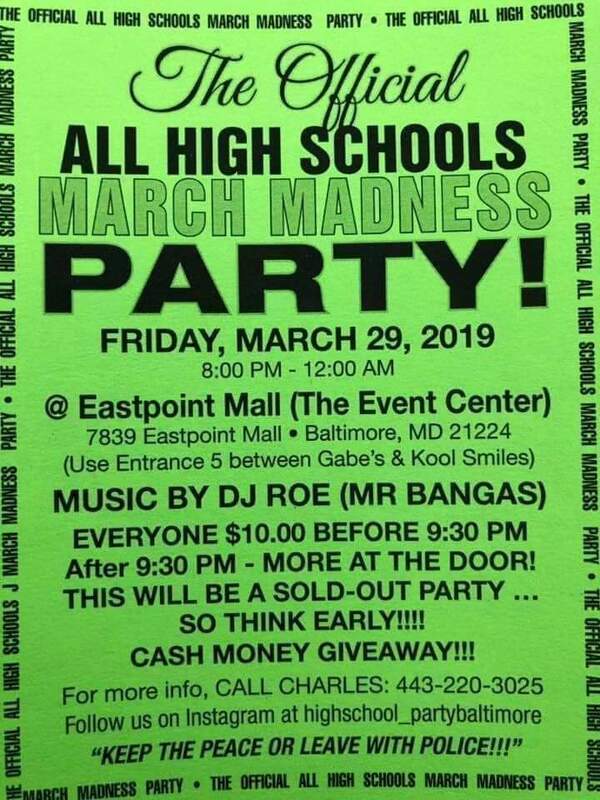 Just to remind you of what took place at the mall on Friday, March 29, 2019, The Baltimore Sun reported there were 300 juveniles involved in a massive eruption of violence that led to nine arrests for crimes including robbery and destruction of property. The Baltimore Post became suspicious after every major media outlet reported on the situation at the Eastpoint Mall, yet there was no mention of the riot on the Baltimore County Public Safety site, nor was there a response from the county executive. We were somewhat perplexed as to why this incident seemed to be swept under the rug. As always, in doing our due diligence, we contacted the Baltimore County Executive’s Office for a response. In another email to the county executive’s spokesperson, we mentioned that we had been unable to locate anything that addressed the disturbance, which involved one of the largest police responses in recent memory. We also asked if we missed an official comment from Johnny O about the riot. As we figured, we were correct in our assumptions that Johnny O never issued a statement, and that the Police Public Safety site did not report on this violence. It was not a riot. The County Executive was made aware and briefed on the situation that occurred there. We were able to find out that a party took place in the area that was not authorized. The County Executive is committed to resources and opportunities for young people find themselves with idle time. One of the areas that had some concerns recently was the White Marsh Mall. Since the inception of their PGR, the problems have dissipated. 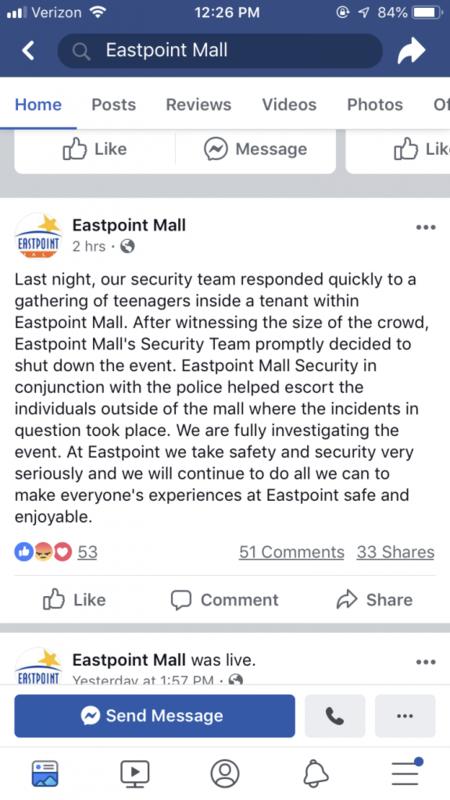 That response is a reactive rather than a proactive approach in dealing with potential problems, especially since another violent incident erupted at the mall’s carnival during the summer of 2018. 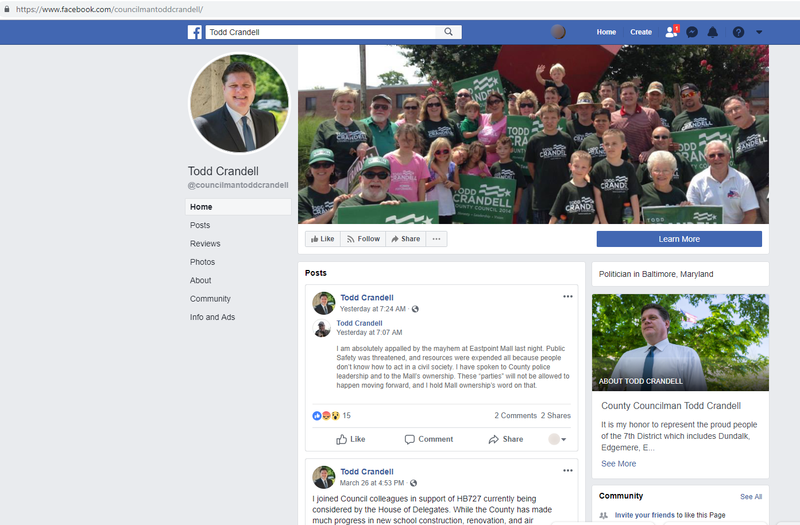 Now let’s move on to Councilman Todd Crandell and his censoring of The Baltimore Post. Councilman Todd Crandell is the representative of the 7th District, in which the Eastpoint Mall is located. It should also be noted that his office is located inside the mall. 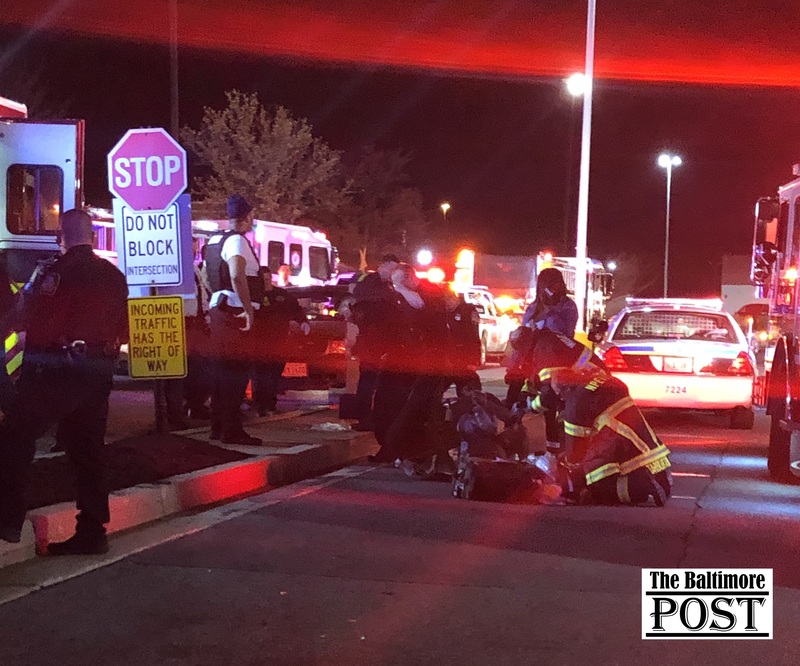 We interviewed Delegate Ric Metzgar, who stated that he was in touch with mall officials regarding the violent outburst that took place on March 29. Delegate Metzgar said mall officials estimated the crowd to be around 500. When asked if Councilman Crandell had been at the conference with mall officials, Delegate Metzgar advised that Mr. Crandell had a previous engagement. Given the seriousness of this situation and the negative impact on the 7th District, one would think that Councilman Crandell would issue a statement regarding the troublesome situation. Councilman Crandell did release a statement, but it had more to do with censorship than problems at the mall. 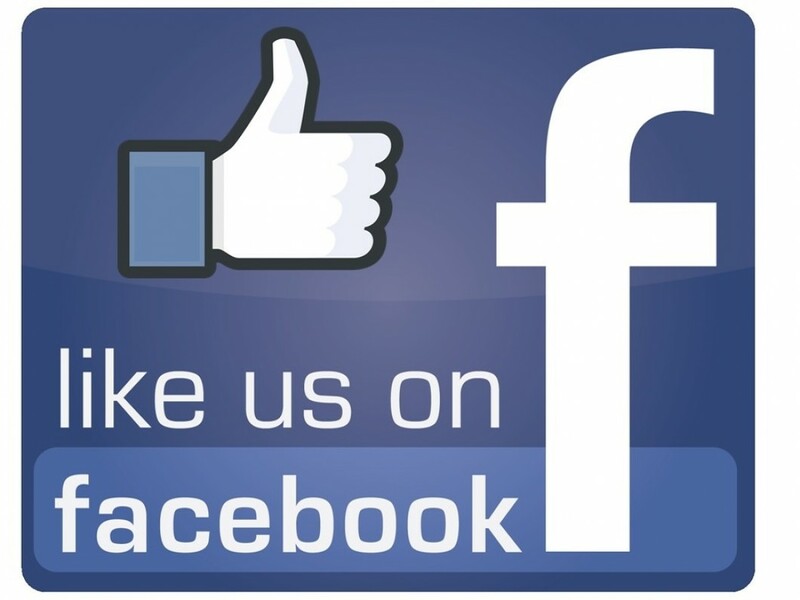 But what we saw on the councilman’s Facebook page was different than what others were able to see. Just to make sure we were correct in our assumption that we were seeing something different, the Post asked someone else to check the councilman’s political Facebook page. We learned that there was definitely a difference between what we were able to view and what was accessible to others. Folks, that is censorship, plain and simple. What was also rather perplexing was that there were only two comments and shares related to the statement about the riot at the mall. Johnny O has always promised an open and transparent government that will help build a better Baltimore County. Judging by the obvious intent to divert attention away from this situation, it appears to us that not much has changed since the previous administration. Finally, you may notice that during this interview with WBAL’s C-4 the substance of the conversation did not meet the level of intensity regarding a riot at the Eastpoint Mall. Direction: East1 of 2 Eastbound traffic lanes closed.1 of 2 Eastbound shoulders closed.Created: 4/24/2019 8:35:18 PM by TOC7.